Wirth Law Office – Oklahoma City provides legal counsel and representation to individuals with matters in Oklahoma County District Court including criminal defense, family law and personal injury cases. Our clients also turn to Wirth Law Office for advice and legal service in estate planning and probate proceedings. We’ve helped Oklahoman’s through the recent financial crisis with Chapter 7 and Chapter 13 bankruptcy filings. An in-house immigration attorney counsels and represents guests workers and their families who want to call Oklahoma home for a short time or for a lifetime. Our focus on individual legal services means we have an understanding of the legal needs for which working Oklahoman’s frequently seek help. Our Oklahoma attorneys have extensive experience in felony defense, misdemeanor defense, divorce, child custody and child support cases, providing you access to the kind of knowledge that produces winning legal strategies. Our representation in personal injury matters has won judgements and settlements worth several millions of dollars. Attorney James Wirth, Esq. founded Wirth Law Office in Tulsa after a successful tenure at another Oklahoma law firm. Along with a team of well-qualified associates, James Wirth has now provided skilled representation for hundreds of clients in Northeast Oklahoma. 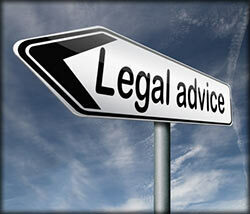 There is no reason to settle for bottom-dollar legal services when you are balancing a family budget. Wirth Law Office’s expansion to Oklahoma City means residents in central Oklahoma now have access to top-quality legal representation at a cost that fits the budget of middle-class families. For a free, confidential, no-obligation consultation, call the Wirth Law Office – Oklahoma City attorneys today at (405) 888-5400. You’re also invited to send us a written inquiry. We’ve made it simple by providing a form at the top of each page on this Web site. Send us your question and our Oklahoma City attorney will reply as soon as possible.